I was cursing to bet the band as I went upstairs to get dressed. The air was positively blue. I was angry. I was going out, on what in my mind was the middle of the night, it was ridiculous. Hell, it was dangerous. It was dark. Yeah we were going to meet in a public place. But why the expletive, curse, fill in the blank your self, why the ………blanket blank, should I? I certainly wasn’t going out of love for my neighbour. I was ticked. I was going because it’s my job to go. Sure I knew that I had every right to refuse to go. But if I didn’t go, my shows would be ruined. How could I possible sit there and enjoy my shows when I knew that someone needed my help? Forget the shows, if I didn’t go, I knew darn well I wouldn’t get any sleep. I wasn’t going out there into the darkness to embody the love of God, I was going out there to avoid feeling guilty. I had absolutely no altruistic motives what so ever. I just didn’t want to be tossing and turning all night feeling guilty because I had very sensibly refused to go out on a call that I had every right to make wait until morning. I was in a foul mood and this person wasn’t going to get more than the motions from me. I had no compassion to give. I went into the bathroom to splash some cold water on my face and that’s when it happened. I bent over the sink and something, someone, somehow, penetrated my self-righteous indignation. As I cupped the cold water to splash on my face I remembered a lesson that I’ve taught Sunday School students, Confirmation students and from this very pulpit. I looked down at the water and remembered the instructions of Martin Luther. Every morning, when you rise for your morning ablutions, as you splash the water on your face, do it three times, once in the name of the Father, again in the name of the Son, and a third time in the name of the Holy Spirit and as the cold water hits your face three times remember your baptism. 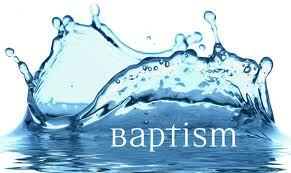 Remember that you were baptized in the name of the Father and of the Son, and of the Holy Spirit. Remember who you are. Remember whose you are. As I watched the water leak from my cupped hands, I began to laugh at my own annoyance. I splashed once in the name of my Creator, twice in the name of Jesus the Christ, and a third time in the name of the Spirit that breathes in me. I remember who I am and whose I am as the water grounded me in the reality of my humanity. I didn’t stop at three splashes. I went on to three more splashes. I cupped cold water three more times only these three times I did not repeat the words, Father, Son and Holy Spirit. With these three splashes I repeated my name. At our baptism we are named. And so remembering my baptism I said my name, the way my mother or father used to say it when they were annoyed with me: Dawn Lesley Hutchings. One of the strange things about middle names is that apart from legal documents, they are rarely used outside of church. Except when we are in trouble. For when we get into trouble, parents find our middle names very useful indeed. I always knew that I was done for when my mother called out my first and middle name. To hear Mom call me, Dawn Lesley was all it took to strike fear into my heart. I hated to hear my parents call me Dawn Lesley. Dawn Lesley was the kid who is always getting into trouble. To this day, if my mother is annoyed at some part of my behavior all she has to do to indicate her disapproval is to say, “Dawn Lesley” and I am immediately a child, her child. And even though Dawn Lesley is indeed my “Christian” name, I never want to hear God call me Dawn Lesley, cause if I hear that, I’ll just assume that God is not well pleased with me. What could be better than to hear the God who is LOVE, call you LOVE? That’s what happens each and every time someone is baptized. I may have gone into the waters of baptism as Dawn Lesley, but I came up out of those waters as “LOVE”. Each of you came up out of those same waters as God’s LOVE, God’s beloved with whom God is well pleased. But it doesn’t end there, not for Jesus, and not for you or I. We come up out of those waters as God’s beloved children, and we have lives to live. Each of us has to lead the life of the beloved and it doesn’t take very long for us to begin to doubt that we are God’s beloveds. Some of us find it increasingly difficult to hear God’s voice. But let me assure you, that just as my parents never tire of calling me LOVE, God never tires of speaking to us. One thing that truly mystifies me is that the voice of God is so soft and gentle. 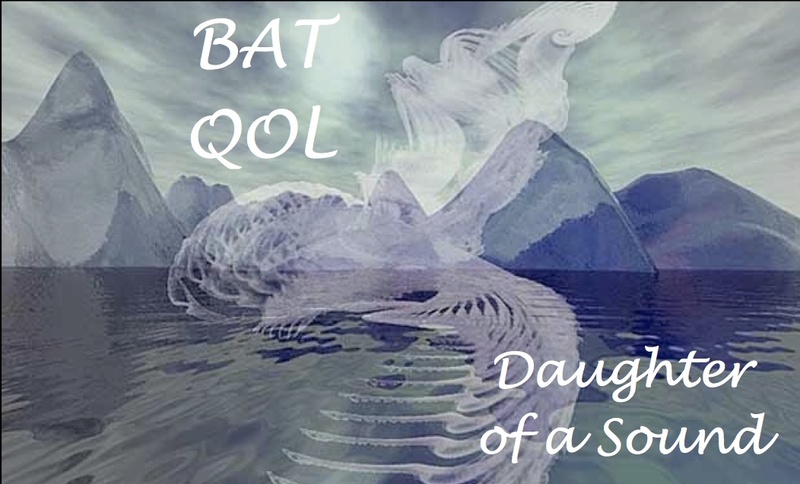 Scripture calls it a “still small voice.” From the Hebrew Bat Qol, which translated literally, is the “daughter of a sound.” The daughter of a sound is an intimate voice. It comes from a very deep place. It is soft and gentle. Each of us needs to gradually hear that voice. We both have to hear that voice and to claim for ourselves that that voice speaks the truth, our truth. It tells us who we are and whose we are. That still small voice, that daughter of a sound, is where the spiritual life begins. Our spiritual lives begin by claiming the voice that calls us the beloved. Once we claim that voice the relationship grows. People ask me all the time, how to go about developing their spirituality. It begins with listening and hearing the voice and claiming what the voice says as our truth. Then we need to live the life of the beloved. One of the marvelous things about the baptismal rite is that we declare to the baptized that they are ordained to the priesthood we all share. At your baptism each of you were ordained to the priesthood, the priesthood we all share with Christ. We are all keepers of the mysteries of the faith. We are all called to love as we have been loved. That’s the good news. It was close to midnight when I got home on Thursday night. I hadn’t done very much at all, just offered a listening ear, a drink and a little food. I took far more from our meeting than I gave. I can’t lead anyone to God any more than any of you can lead anyone to God, anymore than we can lead a fish to water. For we are all just like fish in water, each of us live and breath and have our being in God. All that we need is to notice. 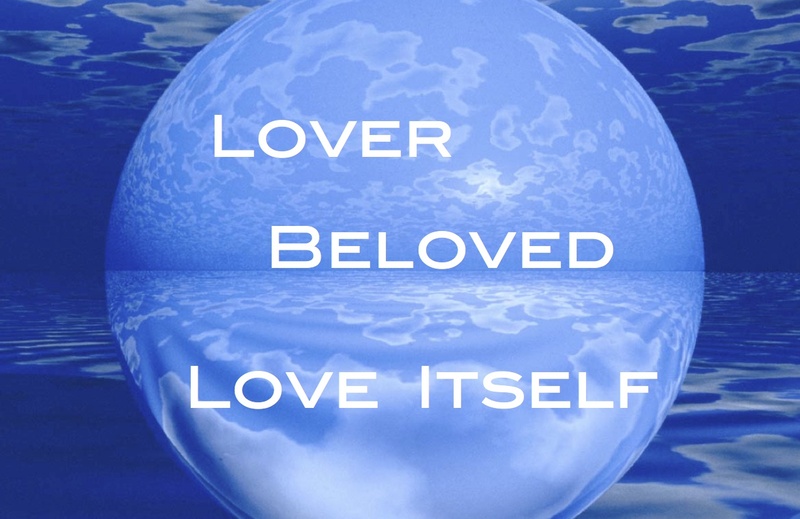 To live fully, breathe deeply and to be all that we can be: for we are LOVE. And I hold you safe in the shade of my embrace. and LOVE itself, now and always. Amen. This entry was posted in Home, Progressive Theology, SERMONS, STORIES, Theology and tagged Baptism of Jesus sermon, Baptism of our Lord sermon, bat qol, daughter of a sound, emerging church, Lutheran sermon, progressive christian sermon, progressive Christian sermon Baptism of Jesus, progressive Christian sermon Baptism of Jesus C, Progressive Christian sermon Luke 3:15-22, progressive christianity, progressive theology, religion, theology by Rev. Dawn Hutchings. Bookmark the permalink.